This newsletter is for the overly ambitious reader (so all of you)but especially my personal training clients in NYC ; have you thought about training twice a day? Be able to sufficiently rest and recover in-between sessions (most NYers can stop reading now). The old school approach – cardio in the morning, weights at night. This method works reasonably well as most peoples’ hormonal levels are better at night, hence they can lift heavier weights – plus, there are more hot chicks to impress! Training the same muscle twice a day: this is actually the best way to train twice a day – (Maik, have you lost it??? Training the same muscle twice a day goes against any broscience!). Keep the morning workout short (about 20 minutes), and use 30-40% of your regular lifts and perform 10 sets of 4. Let’s assume it is chest and back day, we’ll assume that your bench and row weights would be around 310lbs. 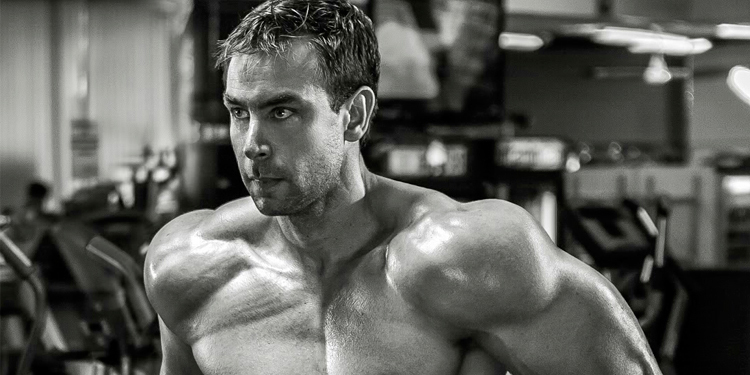 Leave the gym, return 6 – 8 hours later and perform your regular hypertrophy workout. The short morning workout will prime your CNS for maximum output later in the day. While this is a good way to train, I would not recommend doing it for longer than two to three weeks unless you have nothing else to do but lift; (in which case you should see someone about that!). Training twice a day is a great way to change your physique but it does get stressful fast. Supplements that help are; ZMA at night, theanine before the workout, if you use any type of caffeine and glucosamine for the joints. Also, increase your calorie intake by 10 – 15% if you are trying to build muscle. Previous post: Cleanses – Wonder Weapon for Fat Loss? Next post: Gaining Muscle & Losing Fat at The Same Time… Is it Possible?? ?